Here we go again. Steve Jobs must be turning into you know what now, since for the umpteenth time we hear rumors that the high-resolution 2048x1536 pixels display for the third generation of the venerable iPad is stalling the launch plans. The last rumor was that LG, Samsung and Sharp are sharing the burden for the production of this mythical display, since Sharp's new p-Si LCDs comes out too expensive for Apple, but LG and Samsung weren't able to supply mass quantities of their own high-res technologies to satisfy Apple's supply chain demands. Cupertino was even said to buy equipment for Sharp in order to spearhead the production of its displays, which are also rumored to end in the next iPhone in 2012. 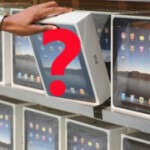 The tipster who now reconfirmed that everyone and their dog is still in the planning stages for the iPad 3 screens, although production is supposed to start next month, and 1.5 million units done by year-end, says: "[LG and Samsung] have production plans for 2,048x1,536 displays. Starting in November. But those are only plans at this point. It's not a question of making just one. This, of course, can be done. The challenge is making lots of them. This is a quantum leap in pixel density. This hasn't been done before." The display is to have brightness of 550 nits, which is on par with the iPhone 4 and 4S, but there is an interim solution planned apparently, for 1600x1200 displays, which can be done in abundance. It's not likely that Apple will settle for less, though, so it will probably keep pushing the manufacturers to give their best, and the iPad 3 keep getting postponed. We know both Samsung and LG have high-res tablet screens in the works, and Samsung already demoed one 10-incher with the astonishing 2560x1600 pixels, thanks to the PenTile matrix used, but it has no set plans yet for it. In any case, it looks that the transition to high-res screens for tablets won't come as smooth as it is undergoing now with smartphones. Not to mention that such screen would benefit from the quad-core Apple A6 that is just entering the production plan stages. Samsung already demoed one 10-incher with the astonishing 2560x1600 pixels, thanks to the PenTile matrix used. iPad display by Sharp 2048x1536 is postpone. Samsung beat Apple in a Display and Components Wars but lost Patent Wars. It's all about economy. Apple pays, Samsung delivers. Agreed it will be the ipad 2s next,exact same device but with a revolutionary screen unlock animation. Then will come the ipad 2ssssssssss,the extra s's are for the snake noises apple will make when announcing the device! didnt ipad 2 get siri with ios5? No. Only iPhone 4S gets Siri at present.